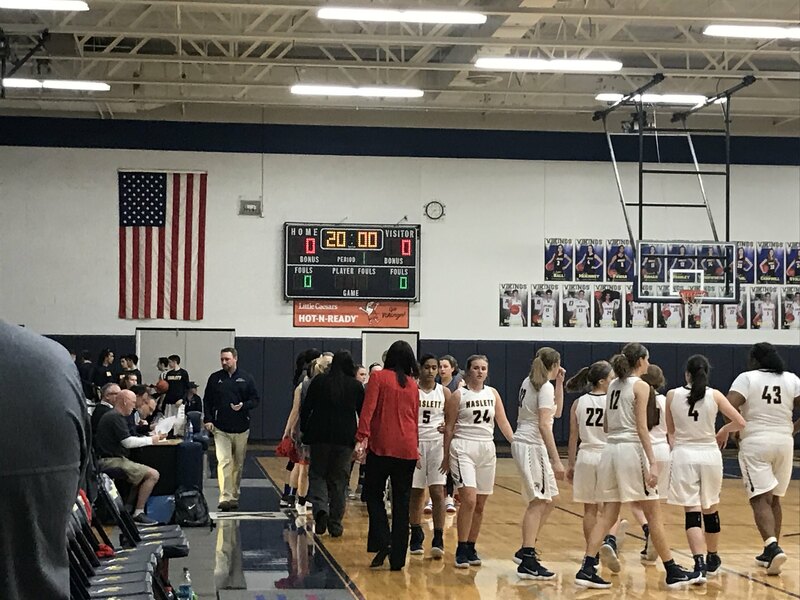 HASLETT - Earlier this season, the Haslett Girls Basketball team defeated Mason 52-37 and the Lady Vikings would use that same energy to lead them to another 59-30 victory against Mason on Friday at Haslett High School. Haslett started the game off very aggressive and would end the first quarter with a 9-0 lead. The Vikings controlled the entire game as they outrebounded their opponent as well as kept them in foul trouble. It was not until earlier in the second quarter that Mason would score their first points, and Haslett would end the half with a 23-6 lead. Although, the Bulldogs came out of halftime more aggressive, it was not enough to secure a win, and Haslett would go on to beat Mason 59-30 in front of their home crowd. The Lady Vikings next game is at home on Tuesday, February 6 at 7p.m. against host Holt High School.